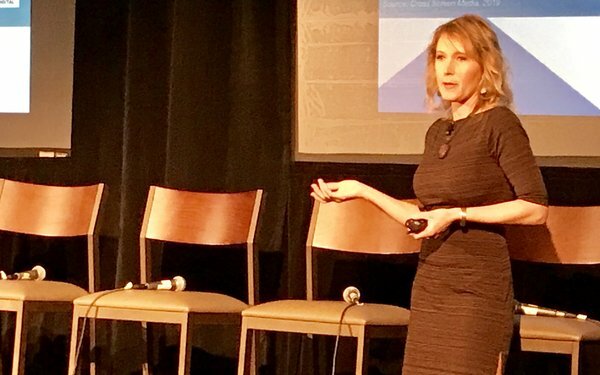 As recently as 10 years ago, political ad budgets were determined “by the biggest ego in the room,” Sharon Aho, OTT media director, at BrabenderCox (above), told those gathered Wednesday at MediaPost’s TV & Video Insider Summit in Scottsdale, Arizona. “We had to make ads turn around in 8 to 10 hours, trying to keep up with opponents. Advertising was based on geography and demographics.” Today, not so much. In the case of Susan Brooks, an Indiana resident looking to be re-elected to the U.S. House of Representatives in 2018, Aho’s agency produced an ad in which a Brooks supporters talks about early detection for breast cancer and why mammography tests aren’t covered by insurance. The product targeted female voters and it worked.